对韩餐迷得不行的小吃货们，遇到foreign food或者special meal you’d like to have这种雅思口语话题, 一定不要忘了去韩餐馆里常点的食物，甭管吃过还是没吃过的题目，就挑自己熟悉的来，就好了! I’d like to talk about the spicy chicken feet I ate when I was travelling in Korea with my classmates last year. I’ve always wanted to have a meal in a restaurant in Korea to try some authentic spicy chicken feet, but sadly I’ve never had the chance. This is a well-known Korean dish, and it’s on the must-try list for tourists in Korea. If you don’t eat spicy chicken feet in Korea, then it’s like you’ve never been there. My classmates and I went to a highly recommended local restaurant, and ordered this famed dish. As the name suggests, the main flavor of it is spicy, but it’s mixed with a little bit of sweetness. And magically, if you eat the chicken feet with rice wine that comes with the dish, the spicy flavor would soon disappear. And we can dip the chicken feet into a variety of sauces they offered, which could add extra flavor to them. You can choose the sauce according to your own taste, basically all the flavors you could think of were available there, and the best part is, there are free of charge. And I have to mention the texture of the meat. It’s pretty chewy, and we could see lots of oil in the dish, but the meat was not greasy at all. I’m not exaggerating, it really tasted like heaven. So it has officially become my favorite dish. 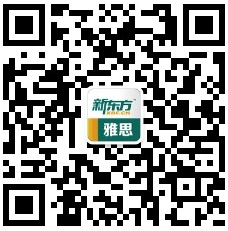 另外，上面的素材也可以添油加醋的变成a city you’ve been to这种描写城市的或者履行的话题答案，因为去玩耍，很重要的一项就是逛吃逛吃哇! This topic reminds me of the time my friends and I went to Seoul during last summer vacation. This city is a magnet for tourists because of the lively nightlife and all kinds of boutiques that sell fashionable clothes. Plus, although it’s a metropolitan city, it’s quite small, so people can always bump into super stars when they are walking on the street. So, you can imagine, it’s also a place that attracts tons of fashion followers and groupies. I just fell in love with that city, ‘cause there are so many mouth-watering things to eat, it’s like a paradise for foodies. So I’ll definitely go there again. In the 1990s the area became a magnet for new investment. I bumped into Simon this morning. We set off for London just after ten.